Sold by i-Tronics and Fulfilled by Amazon. Gift-wrap available. 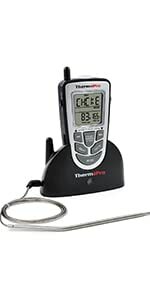 Amazon's Choice for "smoker thermometer"
Sold by i-Tronics and ships from Amazon Fulfillment. 1.Unit is not waterproof. Do not expose plug of probe or plug-in hole to any liquid, which will result in a bad connection and faulty readings. 2.The probe and cable are not dishwasher safe. They must be hand washed using hot water and soap. Make sure to rinse and dry the probe thoroughly before storing. 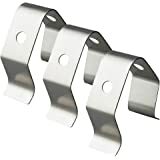 3.Do not submerge the base unit in water or expose to any corrosive cleaning materials. Wipe with damp cloth. 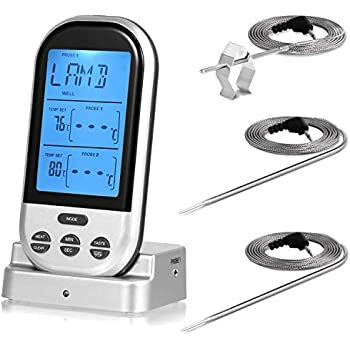 5.If the temperature exceeds or falls below the measurable ranges, the LCD screen will display the following letters: HHH for temperatures above range and LLL for temperatures below range. The blue backlight is bright and makes the screen easy to read in low light when activated, and automatically turns off after 10 seconds. 3" large LCD display with large numbers makes it really easy to read; Low battery indicator. 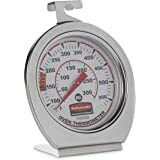 Magnet on the back can be attached to the refrigerator or any metal surface；the meat thermometer features a kickstand and sets the device upright at an easy-to-read angle. 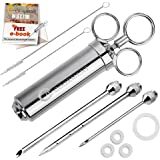 40" durable food grade stainless steel probe with step-down tip design to get temperature more precisely and quickly; Probe wires are rated for 716°F. 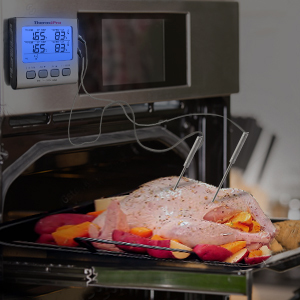 Programmed with preset temperatures and doneness levels for different types of meat,and can be reset to your desired tastes. 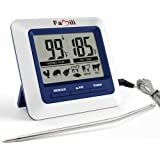 I’ve already gone through a few different digital thermometers over the last 20 years. The reviews had a couple of complaints about the true temp, so I checked the calibration. The #1 was exactly 32 degrees exactly. #2 was off, it registered 35 degrees. I am fine with this because I normally use only one probe at a time. I do wish it had a calibration mode, but it doesn’t. 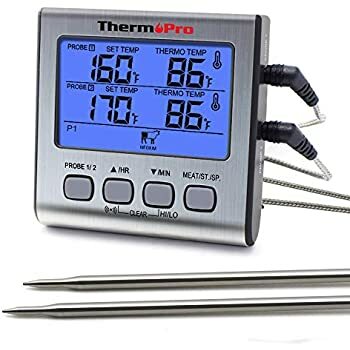 You just place the probes in iced water for 10 minutes, then make sure the probe isn’t touching any glass for at least a minute. The temp should be at 32 degrees if correct. 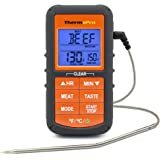 5.0 out of 5 starsI love this tool and highy recomend using it when cooking meat. 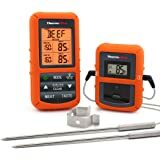 I used this digital meat thermometer for the first time to aid myself in smoking BBQ ribs to perfection and this tool exceed my expectations. 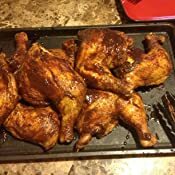 For my first time with this tool I smoked chicken leg quarters and pork ribs to absolute perfection. My photographs speak for themselves. 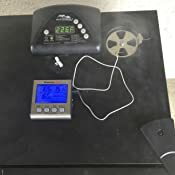 The unit itself is solid and easy to use with a bright BLUE illumined background that displays the temperature threshold you set plus the temperature of the actual probes. 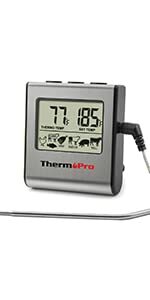 When the temperature threshold is met an audible alarm will sound reminding you that you meat has reached the desired internal temperature. 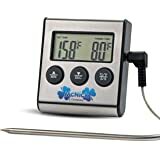 There are 2 independent temperature probes perfect for if you are cooking 2 different cuts of meat together or if you want to measure the temp of the inside of the meat and the temperature of the inside of your smoker, oven, or grill. 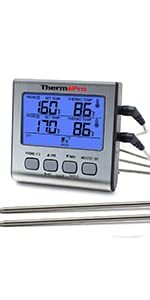 The temperature probe wires are special wires covered in heavy insulated wire mesh cable covering. 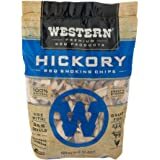 5.0 out of 5 starsGreat product and great customer service! 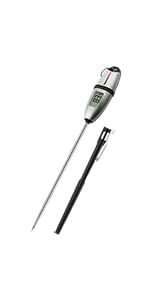 I rarely write a review, but this thermometer is awesome and so is their customer service. 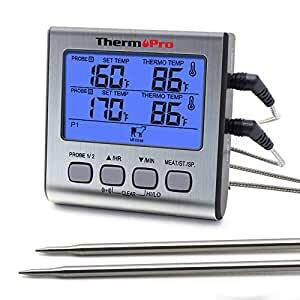 After 6 months, I validated its temperature gauge by putting the probe in boiling water and it immediately read 210 degrees and 212 degrees within about 30 seconds. 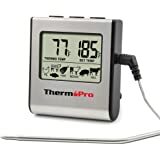 I've bought a few meat thermometers in my life, and this TP17 is by far has been the most accurate. Additionally, after about 8 months, the audio alert seemed to stop alerting (but the lights continued to flash) when my meat reached its desired temperature. 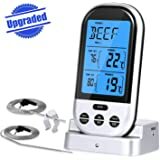 I called customer service to figure out how to turn the audio back on, and literally within 2-3 minutes, they answered, said there was something wrong with the device, and they would send me a new thermometer in 2-4 days. They didn't ask for a return, just needed to verify I had bought the device and that the same address was current. Great customer service! I would highly recommend this product to anyone. 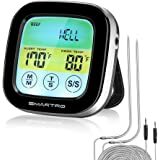 This thermometer worked perfect, I liked all the options, no complaints. It misted one day while I was out cooking, not rained, barely misted... the thermometer got an extremely light layer of mist on it and shorted out. I was in disbelief. No exaggeration, the amount of water was minuscule, I still don't understand how it shorted out that easy. I'm not attempting to return or get a refund, it was my fault that the product failed, I should have been more careful. 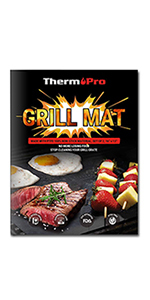 4.0 out of 5 starsVery good Product, excellent support. This is a pretty sweet product. It has 2 probes. Stick one in your meat, and stick the other in another piece of meat or use the included clip to attach it to your grill and measure the temperature inside your device. It's pretty accurate. I tested mine by putting both probes in a glass of ice water, and then in a pot of boiling water. Results as expected initially. I do this occasionally just to be sure it's still accurate. 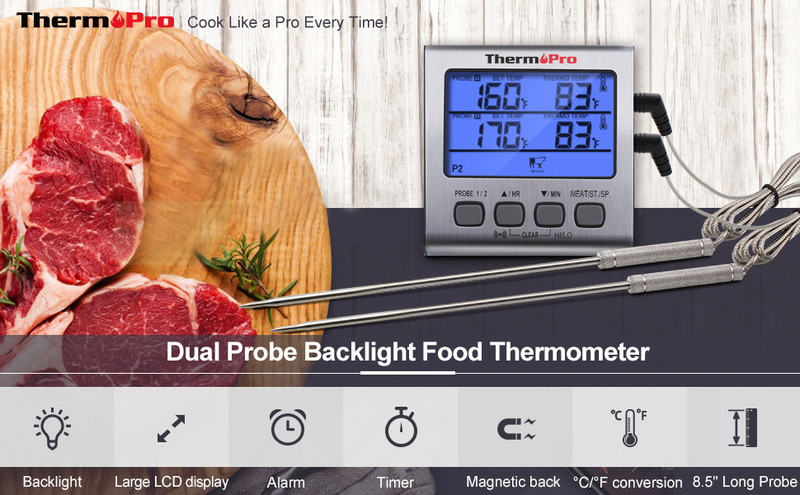 After several uses, one of my probes started to over-report temperatures. I called support, they shipped me a replacement probe with no hassle at all. It comes with a lifetime guarantee on the probes. Very happy with the service. 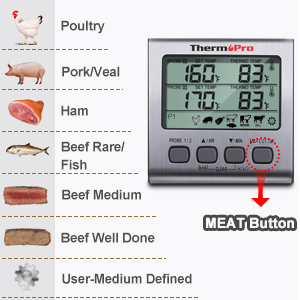 I typically use the mode where you specify what temperature you want your meat, then it beeps at me when it gets to the desired temp. Awesome. 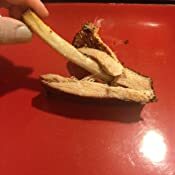 Smoked some ribs last night, and they were amazing. 1.0 out of 5 starsI had high hopes but sadly it failed. I send this review with a heavy heart because I have the TP-16 and it's worked flawlessly for a couple years. 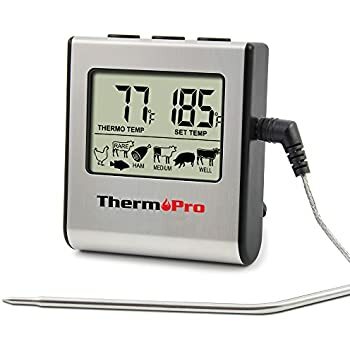 I bought the TP-17 because I sometimes smoke more than one large cut of meat at one time. Worked good the first 2 times. 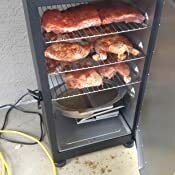 The 3rd time, about half way through two pork shoulders the screen went garbled. Mixed up numbers. I quickly changed the battery hoping this was the problem but it was still garbled and the back light was dim. Some kind of malfunction. I did not register the product when I purchased (for warranty) so it's my loss. Be sure to register it if you purchase one. My unit is junk. 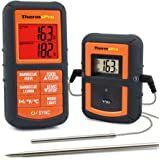 I ordered a Thermoworks DOT. You get what you pay for. 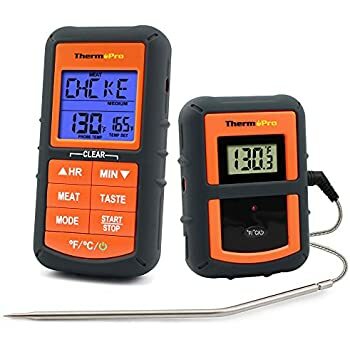 After I burned up an Oxxo thermo by foolishly using in the BBQ (hadn't noticed that it said it was only good to 450 degrees and should only be used in an over), I decided to purchase this item for $24 rather than spend $20 for a replacement Oxxo probe that still couldn't be used in a BBQ. Glad I did and the two probe system is great. My first experience was grilling two lamb chops of significantly different thickness. 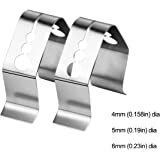 The dual probes allowed both to come out perfect. 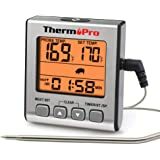 I have found that removing the meat around 5-8 degrees cooler than recommended in most cooking guides will allow the meat to sit for a few minutes and turn out perfectly, thus if your guide says 140 degrees for medium rare, remove meat from grill around 132-135 degrees and you should get a perfect steak.